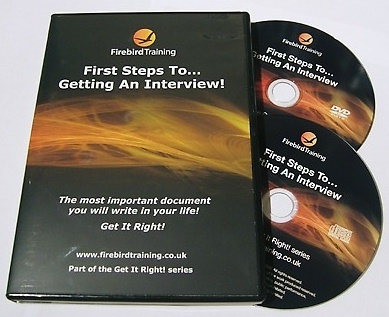 To read what Olivia (aged 17), George (aged 14) and Lily (aged 14) thought of the ‘First steps to getting an interview’, Winning CVs DVD, click here. Do you need evidence of your provision of Independent Careers Advice for future Ofsted inspections? The Teachers and Youth Workers Edition of the ‘First steps to getting an interview’, Winning CVs DVD provides you with ready-made lessons on CV and Personal Statement creation to use as part of your PSHE & Citizenship or Career and life skills lessons. You can choose to either show the DVD to your students and get them to carry out the activities or deliver the workshops yourself as lesson plans, tutor notes and full instructions are provided. You also get the following documents on a CD to either email or print off for your students to use. What’s more, you can use the DVD and documents time and time again. Or click on the links to get your Teachers/Youth Workers copy from Incentive Plus or Prospects. Ensure your CV or Personal Statement stands out from the crowd and gets interviews. Why do some people almost always get the job they want? …Because their CV sells their personality to an employer and wins them an interview! Employers & recruiters are faced with hundreds of CVs per vacancy and will spend no more than 15-20 seconds looking at each one to make a decision whether or not to shortlist you for interview. How can you ensure your CV stands out from your competition to give you the very best possible chance of getting the job you want? To help you think about what you can write on your CV to sell your personality to an employer, we have filmed a group of young adults exploring their qualities, skills, experiences and attributes to give you some ideas and help you build confidence in yourself. The DVD talks you through all the key elements of what to write and how to write it to make an impact. To make it really easy, we have given you CV templates and an example CV to work from. There are guides that take you step by step to creating your CV or university personal statement. These are included on a CD in your pack so you can open and use them on your PC or laptop or print them off to write on. Who is the DVD suitable for? Anyone aged 15-22. Or click on the links to get your Home copy from Amazon or Firebird Training Limited. Watch the video now and download the step by step guides, CV templates and examples here for instant access on your PC, Mac, Laptop, iPad and mobile. Download the step by step guides, CV templates and examples here for instant access on your PC, Mac, Laptop, iPad and mobile.